Welcome, Jim! Let’s get right to it. Your main character is Christian Kane, a journalist who writes a novel about a creepy ghost girl after being inspired by a cemetery tombstone. Needless to say, I’m seeing quite a few similarities between you and your character. Were these references intentional or mistakenly transposed? 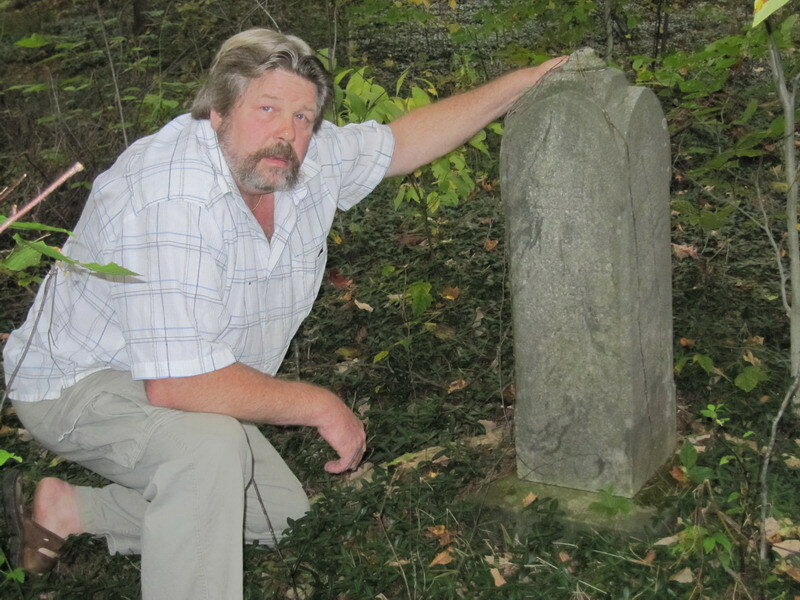 Being an avid outdoorsman, I had stumbled upon a lone grave in the middle of the woods, and thought to myself, “How strange! Why did this person end up out here?” Talk about inspiration! A story immediately came to mind, which I was compelled to write. You will see these references were definitely not a coincidence. The Legend of Rachel Petersen is an incredible blend of humor and suspense, a rare talent for sure. How do you achieve this? By using everyday occurrences, I strived to make this novel touch on every one of the reader’s emotions, feelings, and senses. I want readers to feel Kane’s anger when he was not granted the well-deserved promotion, and to feel the love between the Kanes. This happily married couple has a sense of humor, so I also wanted a few chuckles, for an example, when the choking partygoer coughed up the stuffed mushroom appetizer that bounced off Shelby’s forehead. While on the other hand, readers will wince at the maggot-infested, gut-wrenching stinking rotting corpse, while wondering when Rachel will show her evil little face next. Most writers fit into one of two categories: pantsers, who write only when inspired by an idea (and are typically identified by a desk covered in post-its) or plotters, who tend to organize their thoughts and story lines in well-graphed notebooks or bulleted Word files. Which best describes your style? My writing style would be a ‘plotting pantser’, minus any post-its or notebooks. I keep it all in my head, when inspiration makes me write. I don’t use an outline; instead, I write a few pages and then I edit that, and then I write some more pages and re-edit every word from the start. Each time I sit down to write, I usually start reading and editing from the beginning of the book until I’m at least five chapters into it. I also like to envision my story mentally as if I’m watching a movie, and then I do my best to describe the scenes and characters by putting words to paper. The movie thing resonates with me; I do that, too! You mentioned your book took a year and a half to pen. Was that length of time due to research, and what else lengthened your writing time? Having a daytime job is a huge, but necessary, burdening obstacle in this starving artist’s life! Add to that, a family, a dog, gardening, hunting and fishing; all take time away from the typewriter. Not only did I research The Civil War for correct dates and places, I found it necessary to go online and brush up on my grammar and punctuation skills. The Legend of Rachel Petersen is the first book I have ever written, and I have been out of school for three and a half decades. I had forgotten what a dangling participle was. Writing this novel is one more item scratched from my bucket list. A portion of your book proceeds go to Leader Dogs for the Blind. I know that charity is dear to you; can you tell our readers more about that? I am donating a portion of my book’s proceeds to The Leader Dogs for the Blind, located in Rochester Hills, Michigan. This organization has been training Leader Dogs and sponsoring them to blind people, free of charge, since 1939, and they have achieved this amazing feat all from donations. The reason I want to donate to Leader Dogs is because my older brother, Gene, blind since birth, is currently on his third canine companion. In addition, I am the Vice President with the local Lions International Club. I know all too well, both their generosity and the impact of their invaluable services. Furthering that statement, I also understand first handedly how strongly the visually impaired faithfully depend, trust, and rely on their dogs, whereas Gene is on his third leader dog. Thanks to everyone who helps support my cause! Raising a puppy to Leader Dog status is extremely expensive, averaging forty five thousand dollars per sponsored dog. I would also like to give a big hug and a thank you to Raynetta for reviewing my book and having me as a guest on her beautiful blog! 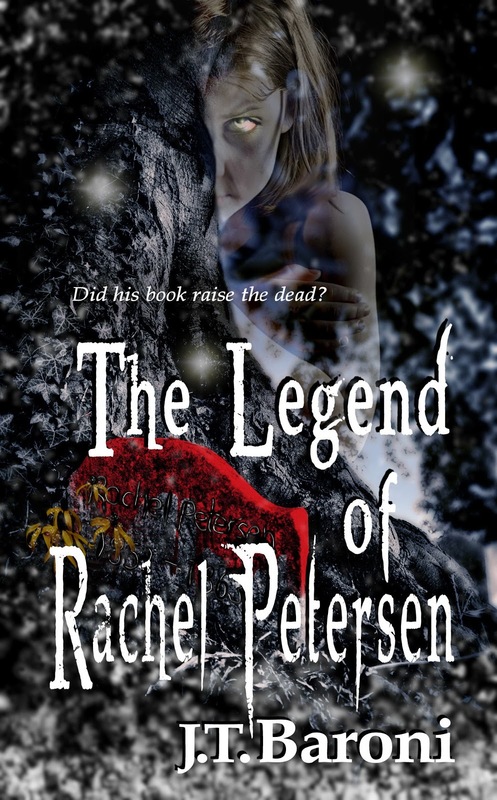 I was a little nervous about reviewing The Legend of Rachel Petersen, typically because I tend not to like horror books. Unless you’re Stephen King, they’re just not scary. If I’m going to bother picking up a genre book, it had better deliver what that genre should–for horror books, I want to be scared. It’s a simple as that. Let’s just say Rachel Petersen delivered–in a BIG way. There were significant moments in the book where I literally jumped. Baroni’s imagery is so vivid that you found yourself right there with the characters, running from a phantom through the woods or desperately brushing crawling bugs from your body. The suspense was phenomenally breath-taking, and I had several moments where I took a note from Joey [on Friends] and hid my e-reader in the freezer. If I had one criticism, it would be that the story drags in the middle. There’s a lot of set-up once Rachel’s story is introduced. And since the novel is a story within a story within a story, I really had to pace myself to keep up. 4/5 suns: This book was a page turner for sure! You can find J.T.’s books at Amazon and Barnes & Noble.